Assetminder is a cloud based fleet maintenance & workshop management system. The principals of Assetminder, who were responsible for the design, have over 25 years experience in operating & managing workshops, and have brought that knowledge & expertise to the software design. 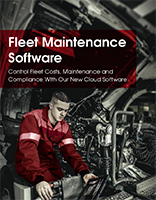 They have been designing & developing fleet maintenance & workshop management systems for over 12 years & their software is installed in over 200 companies in Ireland & the UK, including Glanbia, the National Ambulance Service of Ireland, Surefreight and STL Logistics. Since it’s launch, Assetminder has been adopted by a significant number of transport companies including Barna Recycling, AES BordnaMona, Colas & National Truck Rental.